The most moving piyyut or liturgical poem of the High Holy Day liturgy is entitled "Unetaneh Tokef." The middle of the poem reads: "Behold, the Day of Judgment!"... All who enter the world You will cause to pass before You kivnei maron [like b'nai maron]. As a shepherd examines his flock passing his sheep beneath his staff, so do You make pass, count, enumerate and remember every living soul, decreeing the measure of every creature's life and writing their verdict..."
The question is: what does "kivnei maron" mean? The phrase is taken from the Mishna (Rosh Hashana 1:2), but there, too, the meaning is unclear: The world is judged at four seasons: At Pessah – for grain; at Shavuot – for the fruit of the trees; on Rosh Hashana – all who enter the world pass before Him kivnei maron; and on Succot – for water. The Babylonian Talmud (Rosh Hashana 18a) gives three different explanations for kivnei maron: (1) Here [in Babylonia] they translate: "like b'nai imrana"; (2) Resh Lakish said: like the ascent of Beit Maron; (3) Rav Yehuda said in the name of Samuel: like the troops of the House of David. LET'S EXAMINE each of these explanations. What does "like b'nai imrana" mean? Rashi says: "Like sheep who are counted in order to give a tithe, and they go out one after the other through a narrow opening where only one can pass through." Even someone who did not grow up on a kibbutz has seen in the Westerns how they count cattle: They pass them through a narrow opening in order to count them one by one. In the 19th century, a number of scholars explained that in Syriac, a Christian dialect of Babylonian Aramaic, there is a word "emruna," which means young sheep. Therefore, in Babylonia they explained that on Rosh Hashana we pass before God like the sons of sheep and He counts us one by one. Now let us examine the second explanation found in the Talmud: "Resh Lakish said: like the ascent of Beit Maron." Resh Lakish, who lived in Eretz Yisrael (ca. 250 CE), is no doubt referring to a specific place in Israel which was well known to his listeners. According to the manuscripts of the Talmud and the medieval commentators, this sentence should read "like the ascent of Beit Horon", and, indeed, "the ascent of Beit Horon" was a well-known place for more than 1,500 years. It is mentioned in the Book of Joshua (10:10-11), II Chronicles (8:5), I Maccabees (3:13-26), Josephus (Wars 2,19,2) and Eusebius (ed. Melamed, 1950, p. 212), but the most important source for our purposes is found in Sanhedrin 32b: "Two camels who are going up the ascent of Beit Horon meet each other. If they both ascend, they both fall off; if they ascend one after the other – they both ascend." In other words, the ascent of Beit Horon is such a narrow path that two camels cannot pass each other going up or down. If they ascend side by side, they will both fall off, but if they ascend single file, they will both ascend successfully. Now, the words of Resh Lakish are entirely clear: God counts us on Rosh Hashana just as people climb up the ascent of Beit Horon, one at a time. And now let's examine the third explanation: "Rav Yehuda said in the name of Samuel [ca. 220-250]: like the troops of the House of David." Samuel does not explain himself, but we can surmise that God counts us on Rosh Hashana as soldiers are counted in the army. TO SUMMARIZE the Talmudic passage, the Amoraim explained kivnei maron in the Mishna in three ways: (1) like sheep who pass under the staff of the shepherd, (2) like the ascent of Beit Horon, (3) like the soldiers of the House of David. All three apparently mean the same thing, but we still have not clarified the exact meaning of the expression kivnei maron. Indeed, for hundreds of years, rabbis tried to explain this expression without success, until Nehemiah Brull published a suggestion in his Jahrbuecher fuer Juedische Geschichte und Literatur in 1874. He suggested that perhaps kivnei maron is a corruption of ki[vi]numeron, like a numeron, and numeron is a Greek (and Latin) word which means "a cohort, a legion, a troop of soldiers." In other words, the Mishna says that God counts us on Rosh Hashana as soldiers are counted, one at a time. Nehemiah Brull gave his explanation as a suggestion (vielleicht, in German "perhaps"), when Jewish scholars still had no access to Mishna manuscripts and such a suggestion was simply a guess. Now we can prove that Brull was absolutely correct on the basis of manuscripts of the Mishna, Tosefta, Babylonian Talmud and piyyut. In the Kaufmann manuscript of the Mishna (Italy?, 11th-13th centuries? ), which was only published in a facsimile edition in 1929, it says very clearly in our Mishna: kivno meron with vowels. There is still a space between the words, but there is no doubt that it was originally one word, as we shall presently see. Our Mishna also reads "kivnu maron" in the first edition of the Palestinian Talmud (Venice, 1523-1524, fol. 56a), while Tosefta Rosh Hashana reads "numeron" in the Vienna manuscript (ed. Lieberman 1:11, p. 307). And now we can add new proof for Brull's theory from my book Ginzei Rosh Hashana, which was published in 2000. It is a collection of all the Geniza fragments of the tractate of Rosh Hashana in the Babylonian Talmud. In Manuscript G1, which was copied in the east between the 10th and 12th centuries, it says very clearly "kivnu maron." We have progressed from the piyyut to the Mishna and from the Mishna to the Tosefta and from the Tosefta to the Talmud. If we return now to the piyyut, we shall discover that the original reading in "Unetaneh Tokef" was also "kivinumeron." This was proved by Prof. Naphtali Wieder (1906-2001) in an article published in the Journal of Jewish Studies in 1967. He showed that the reading "kivinumeron" is the original reading in the piyyut "Unetaneh Tokef" as found in a number of manuscripts, and one of them even has vowels. Furthermore, Wieder quotes a number of lesser-known piyyutim which also contain the word "kivinumeron," including a geniza fragment of the piyyut "Hayom Harat Olam" which we sing three times during the Musaf service. In other words, the correct reading of the word "kivinumeron" has been preserved not only in manuscripts of the Mishna, Tosefta and Talmud, but also in manuscripts of "Unetaneh Tokef" and other medieval poems. What can we learn from this detective story? 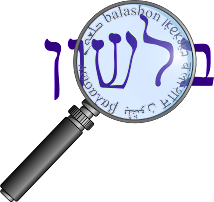 It shows us how the academic or scientific approach to Jewish studies can help us to arrive at the peshat (simple meaning) of our sacred texts. We now know that, according to the Mishna and "Unetaneh Tokef," on Rosh Hashana, all who enter the world You will cause to pass before You kivinumeron – like a cohort of soldiers (being counted). Now, as we enter the Days of Awe, it is up to all of us to engage in teshuva, tefilla and tzedaka – in repentance, prayer and acts of lovingkindness. The same author also wrote this article, which is similar and contains additional footnotes. Steinsaltz also mentions the kivinumeron explanation, however, he does not think Resh Lakish is referring to Beit Horon, but rather the mountain of Meron, which is the highest in the Galil. What about the etymology of imar אימר - Aramaic for "sheep"? Steinberg provides two theories. The first one (also mentioned by Jastrow) is that it is related to amar עמר - Aramaic for wool. In Hebrew the ayin switches to a tzade, and we get the word tzemer צמר. Interestingly, the gemara in Eruvin 53b mocks the Galileans for not differentiating between alef and ayin, and therefore mixing up the words imar and amar. Steinberg's second theory is based on the idea that the root מר means "to send out". He derives the word אמר - "he said" - from the meaning "he put words out of his mouth". Therefore imar can mean sheep in the sense of "animals driven out", and he says there is a similar etymology to the word tzon צאן - it comes from the root יצא, "went out". We have seen earlier a connection between migrash מגרש - field and גרש - to expel.